1) Through this IPO, PNB Housing Finance is raising Rs 3,000 crore by selling 3.9 crore shares. 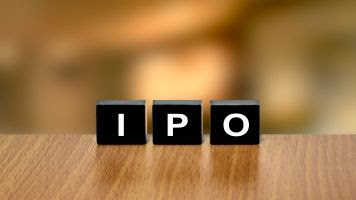 The proceeds of the IPO will boost its tier-1 capital, which is currently at around 9 per cent, the lowest among its peers. After this issue, its promoter Punjab National Bank's stake in the company will come down to around 38-39 per cent from 51 per cent now. Private equity fund Carlyle Group holds 49 per cent stake in the company. 2) PNB Housing Finance offers home loans (61 per cent of loan book), loan against property (18 per cent), builder loan (13 per cent) and loans for non-residential premises (8 per cent). Its higher average ticket size of Rs 32 lakh (compared to Rs 22 lakh for HDFC, Rs 21 lakh for LIC Housing and Rs 11 lakh for DHFL) and loan to value (LTV) of 66 per cent has contributed to its rapid growth over past 4 years. However, its cost to income ratio at 30 per cent is the highest among its peers as it secures 45 per cent of its business from direct sales agents. 3) PNB Housing Finance's loan book has grown at a CAGR of 61 per cent over last 4 years to Rs 25,641 crore in FY16. The mortgage lender had reported a net profit of Rs 328 crore on net interest income (NII) of Rs 684 crore in FY16. Its net profit and NII has witnessed a CAGR of 43.4 per cent and 51.7 per cent respectively over last four years. Despite strong loan growth in the past few years, it has managed a strong asset quality with gross non-performing assets as a percentage of total loans at 0.22 per cent and net non-performing assets ratio of 0.14 per cent. 4) At the upper end of the price band of Rs 775, PNB Housing Finance shares are valued at 2 times its estimated (Angel Broking estimates) FY18 book value. This compares with 2.4 times for LIC Housing Finance, 2.8 times for Indiabulls Housing Finance, 1.5 for DHFL. Angel Broking has a "subscribe" rating on the issue. The brokerage also sees an improvement in its cost-to-income ratio going ahead, which will improve its profitability further. "PNBH is all geared up for its next leg of growth and has the potential to become a significant player in the Indian mortgage business," the brokerage said. 5) PNB Housing Finance has delivered a return on equity of 17.6 per cent on the pre-issue net worth. However, Angel Broking expects its return on equity to drop to around 14.5 per cent by FY18, after the fund raising. But over a long term, its RoE will bounce back to existing level as its cost ratios improve, the brokerage added. Going ahead its nonperforming assets could rise due to its faster loan growth the mortgage lender has witnessed, say analysts.